Semi-trucks—also commonly known as tractor-trailers—deliver the majority of goods on U.S. roadways. These massive trucks transport around 30 tons of materials annually per American. When a semi-truck collides with a car, pickup, or SUV, the results can be deadly. In 2016 alone, truck tractors attached to a single semi-trailer were involved in over 60 percent of fatal truck accidents. Truck-tractors need more time to stop than a passenger car, have much larger and therefore more dangerous blind spots, are more difficult to maneuver, and are much less likely to have collision avoidance technology systems in place that are now in many passenger vehicles. The semi-truck accident lawyers at Slack Davis Sanger have both the in-depth knowledge of the many factors that can contribute to these crashes and the resources to conduct an exhaustive review of the incident, to perform a thorough analysis of potential liability, and to pursue the maximum recovery amount so that victims and their families can begin the road to recovery. Truck accident claims can be extremely complex. The industry is regulated by a patchwork of federal agencies which work with state departments of transportation to enforce a complicated set of rules, including regulations related to licensing, hours of service, maximum weight loads, the transport of hazardous waste, speed limits, and vehicle maintenance. In addition, many vehicles can be involved in one of these crashes, multiple parties can be partially responsible for an accident, and injuries can be caused by cargo falling off a truck, in addition to damage sustained as a result of a collision. By engaging the qualified team of semi-truck accident attorneys at Slack Davis Sanger, victims in these tragic situations and their loved ones can rest assured that no stone has been left unturned throughout the process of evaluating who can be found liable for the accident, when to file a lawsuit, and which legal strategy has the best chance of a favorable outcome. Take a few minutes now to start the ball rolling toward a possible recovery. Your case evaluation will be fast and free! a trucking company, based on the theory of vicarious liability. In these cases, employers can be found responsible for accidents which occur while a person is performing regular job duties. A company could also be held responsible in an accident if a driver was hired without performing a background check that would have revealed a history that would make a person unfit for the job. 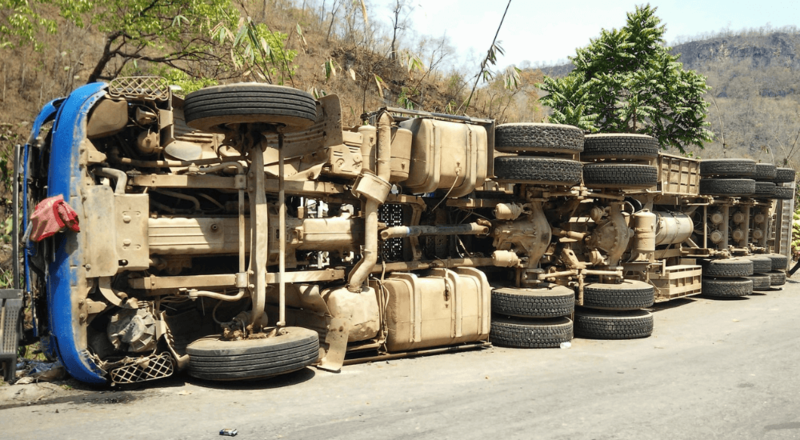 In other cases, a business could be found liable if training was found to be inadequate, if a truck wasn’t properly maintained, or if a supervisor could find that a driver was not getting enough rest or incorrectly logging hours. a driver, if the individual broke a law while operating a large truck. An accident might have been caused by various types of driver error, including if the operator was found to be negligent by running a red light, falling asleep behind the wheel, speeding, or not paying attention to other cars or trucks. a manufacturer, supplier, or mechanic if a truck defect was found to be a factor in the crash. the loader or shipper of the cargo on the truck if improper loading led to the accident. One of the reasons that victims and their families often need an experienced tractor trailer accident lawyer in these cases is that some states allow claims to be filed based on comparative negligence, or how much the behavior of each party contributed to the accident. In still other states, including Texas, modified comparative fault rules do not allow a person to recover compensation if the injured victim was found to be at least 51% responsible for the crash. These horrific accidents often change the lives of those who were involved forever. While no dollar amount can change the outcome of a serious crash, the skilled tractor trailer accident attorneys at Slack Davis Sanger can represent your interests in legal proceedings to help victims and loved ones recover a fair settlement. There are two types of damages that can be recovered after these crashes: “actual” damages and non-economic damages. Economic, or actual, damages can include damage to property, the cost of medical treatment, lost wages, and lost earning capacity. Non-economic damages are more difficult to quantify, and often involve pain and suffering, mental anguish, loss of companionship for surviving family members, and loss of consortium. Loss of companionship can be awarded to parents or children of wreck victims to compensate for the lack of guidance, love, and care which results after a serious injury or death. Depending on the state and local statutes, surviving spouses and children may be entitled to loss of consortium if a victim can no longer help care for children, perform household chores, care for the impacted individual, or participate in a normal marital relationship. Thirteen percent of commercial motor vehicle drivers were fatigued at the time of their crash. Truck operators are more likely to be in an accident if they drive without adequate sleep, after working long hours, or not having enough of a break between shifts. Driving long days can make the task of operating multiple-trailer trucks with multiple connection points even more difficult. These large trucks are more likely to jackknife, roll over, and travel into an adjacent lane than the average passenger car, requiring a driver to be fully alert to navigate any oncoming road hazards. Hours of Service (HOS) regulations were created to prevent drivers from becoming drowsy behind the wheel. These regulations put a cap on the number of hours drivers can be on the road consecutively, mandate rest breaks, and help get drivers off the road in inclement weather. Under pressure from trucking associations, the Federal Motor Carrier Safety Administration (FMCSA) is considering relaxing hours-of-service rules, including the mandatory 30-minute break after driving for 8 hours. The shortage of drivers and a booming economy is putting more pressure than ever on trucking companies to increase productivity, which may come at the expense of road safety. Freezing truck size and weight limits since studies have shown that heavier and bigger trucks are found to be more likely to be in rollover collisions and are more likely to crash because they are harder to stop. Reducing weekly and daily work hours for drivers. A 2003 change that allowed drivers to work longer shifts—11 hours after a 10-hour rest period—resulted in a 40% increase in working hours over an 8-day period. After that rule took effect, one in five drivers admitted to falling asleep behind the wheel in a one-month period. Increasing the required minimum insurance levels on motor carriers. As more large trucks are on the road, conditions worsen on many interstates and rural highways, and these crashes become more catastrophic, families who have lost their loved ones in accidents claim that higher insurance minimums could encourage changes in the trucking industry which would make us all safer on our roads. Studies show that damages in the more serious accidents often top $1 million, which is the minimum which was set in 1985 for insurance coverage. Mandating rear-impact guards and side panels to prevent underride crashes. The risk of serious injury, and even death, in a collision with a semi-truck increases dramatically if a passenger car goes entirely or partially underneath a tractor or trailer. In 2016 alone, 250 people lost their lives as a result of an accident with the rear of a trailer, while 302 fatalities are tied to being struck by the side of a trailer. These protective measures could reduce the likelihood of a serious or deadly injury in almost 75% of crashes. Lowering speeds on semi-trucks. Because of their size and weight, large trucks pose a significant danger to occupants of passenger cars. 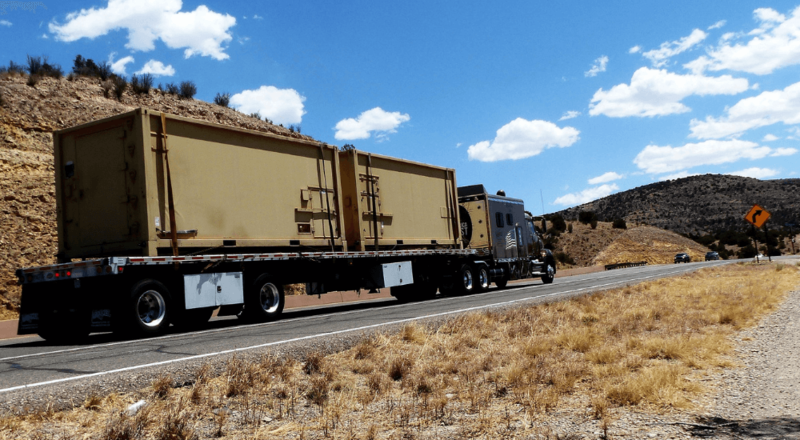 In a study of crashes involving these massive vehicles, researchers found that 23% of commercial vehicle crashes were linked to excessive speed, while other research has shown that traveling too fast is linked to more serious injuries. Although speed limiter technology is standard in big rigs, its use is voluntary in the United States. Reducing highway speeds to 60 miles per hour could save hundreds of lives each year. Truck drivers who don’t take advantage of these controls are twice as likely to be in a high-speed wreck as those who regularly use these truck safety measures. An impressive track record of helping victims of these tragic accidents and their loved ones pursue justice. An exceptional group of legal scholars and litigators laser focused on getting you the compensation you deserve. A comprehensive understanding of where to file a claim, based on laws that may be more favorable to your interests. Thoughtful and warm advocates during what is often an emotional and challenging time. An extraordinary attention to detail which can make a difference when navigating a complex legal battle. A solid reputation built from decades of working with victims and their families to seek fair settlements in these preventable accidents. How can we avoid the number of truck accidents on our roadways? Slack Davis Sanger is dedicated to improving truck safety and making our streets and roadways safer. Who can I sue in a truck accident? One of the reasons that accidents involving commercial trucks and vehicles are complex is that there can be multiple parties who share liability. You may be able to file a claim against the driver of the truck, the trucking company and broker, and/or the truck’s manufacturer. If the reason for the crash was that the truck was poorly maintained, other parties may be found to be at fault. Having an experienced truck accident attorney working to pursue your claim can increase your chances of recovering current and future financial losses due to the incident. When should I talk to a lawyer if I am in a truck accident? Right away! Many trucking companies have "quick reaction teams" for instances when their drivers are involved in an accident. They sometimes arrive on scene before the accident is even cleared away, which means they're already a step ahead. You need someone on your side working for you as soon as possible after the accident to preserve evidence and inspect the truck. What are the top contributing factors in fatal crashes in Texas? 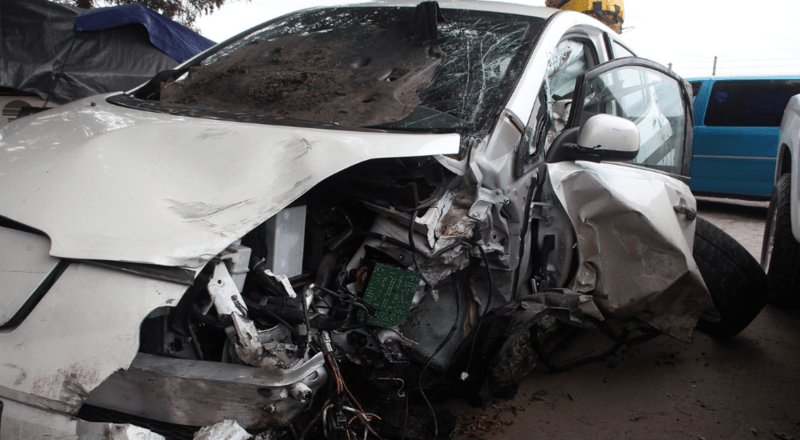 The legal team at Slack Davis Sanger has extensive experience researching auto and truck accidents to determine the factors linked to crashes in order to pursue the best possible outcome for our clients. 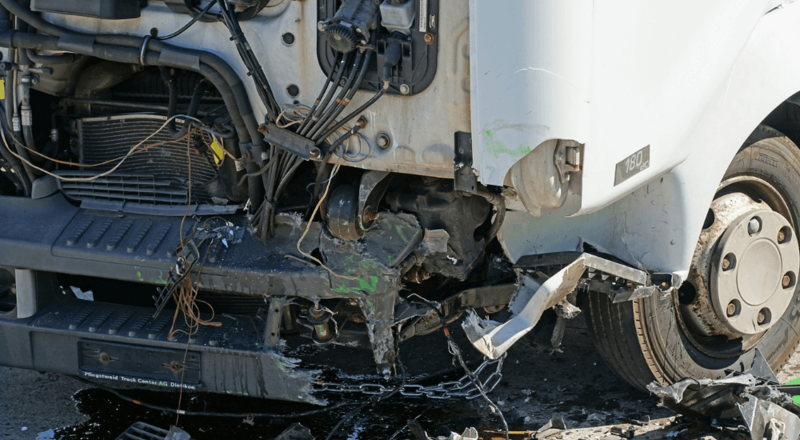 How much will I have to pay to hire a truck accident lawyer? Slack Davis Sanger works on a contingency basis for truck accident cases. That means the firm charges no fees to our clients unless we make a successful recovery. We cover all the upfront costs of filing and litigating the lawsuit on behalf of our clients. 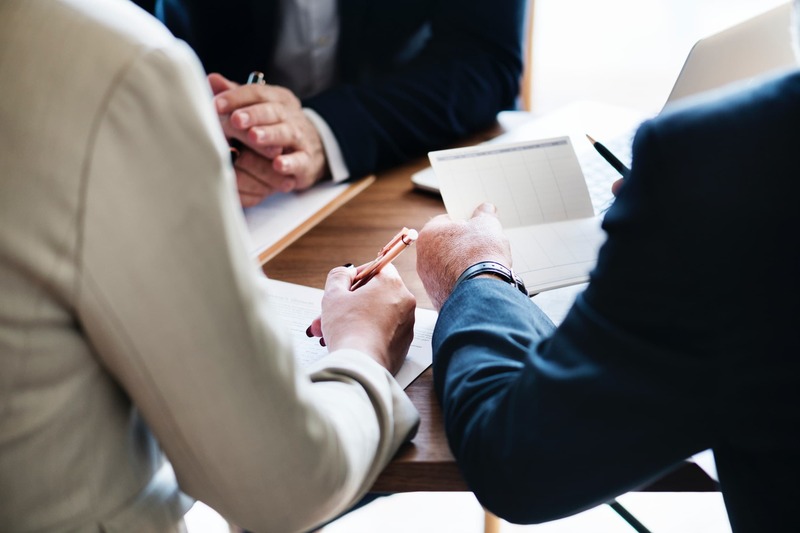 If we obtain a recovery, Slack Davis Sanger is reimbursed for our expenses and takes a fee, which is a pre-determined percentage of the recovery that the client agrees to when the firm is hired. This fee covers office overhead, staff time, and attorney time. The fee and reimbursed expenses are deducted from the settlement or award. The amount of the contingent fee charged depends on the complexity and risk associated with your claim. Take a few minutes to start the ball rolling toward a possible recovery. Your case evaluation will be fast and free! See how our lawyers are contributing to the evolution of domestic and international case law. "The team at Slack Davis Sanger was invaluable in helping me through a difficult time. After being in a serious car accident and fracturing my spine, I was overwhelmed by the number of calls I received from different insurance companies and the various medical bills that kept coming in the mail. Mike Slack walked me through the entire process and made it seem easy. He and his team were always available to answer my questions, no matter how trivial, and kept my best interests at heart. They made sure the case was closed in a timely manner and that I received the best settlement possible, which gave me peace of mind to focus on my recovery."